A Day In The Forest - Illustration store PicsForDesign.com. PSP tubes, PSD illustrations, Vector illustrations. 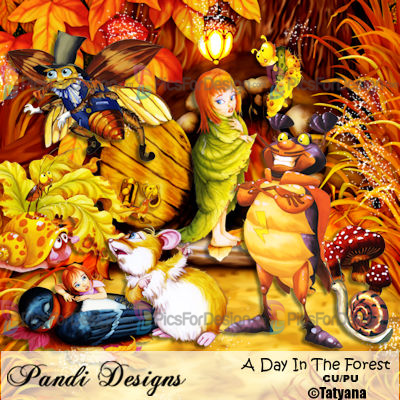 ©Tatyana A Day In The Forest ~ All elements shown. Includes Background. Use in your kits as CU or in your tags.